Gone are the days when we used to play old good games of Nintendo and Attari. With introduction of iPhone in 2007, the whole smartphone industry was changed and so was mobile gaming. However, that does not mean that you cannot recall the old retro feelings, thanks to emulators like GBA4iOS. If you are an iOS device owner, you would be aware of the restrictions Apple has imposed on developers related to kind of apps they can upload in AppStore. 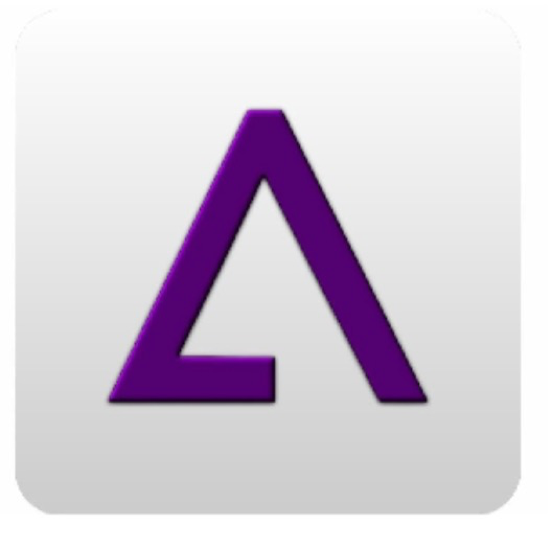 For users who want to play Game Boy Advance games on their iDevices, an app called GBA4iOS was released. However, soon it was pulled down from AppStore. Followed by its removal from AppStore, developer of GBA4iOS has added it to Cydia. It is basically an emulator that lets you play old GBA games on your latest iPhone, iPad and iPod Touch. Do not worry, you will not need to jailbreak your iDevice on iOS 11. Thanks to a Jailbreak Nerd, you can now install GBA4iOS for iOS 11 or iOS 11.1 without jailbreaking your iPhone or iPad. When it is loaded, look for GBA4iOS icon and tap on it. Go to download page and tap on Download now. Wait for it until the downloading is completed. When it is completed, tap on install button. After installation, launch the settings app on your iPhone and trust the profile by going to General –> Profile and Device Management -> Enterprise App. Trust GBA4iOS. Enjoy playing classic Game Boy Advance Games on your iPhone and feel the nostalgia. This entry was posted in Apple on November 24, 2017 by i Daud. Such Cydia tweaks are loved by everybody and are a must have in jailbroken iOS devices. So if you are looking to get the best Cydia tweaks for your jailbroken iPhone, iPad, or iPod Touch, then our list of the best 9 Cydia tweaks will surely be very useful to you. This is perhaps the best and the most popular jailbreak tweak ever, and we wonder if any jailbroken iOS device will be able to make do without this tweak. Activator is an amazing tweak which allows you to create practically unlimited combinations of gestures/shortcuts for activating your favorite app/feature in your jailbroken device. Also, numerous other jailbreak tweaks mentioned Activator as a pre-requisite, which proves the importance of this must-have tweak. Almost all of us have been disturbed by unwanted calls at some point of our lives, and it is really annoying when you receive a call on your iPhone while you are in the middle of an important chat or any other important task. 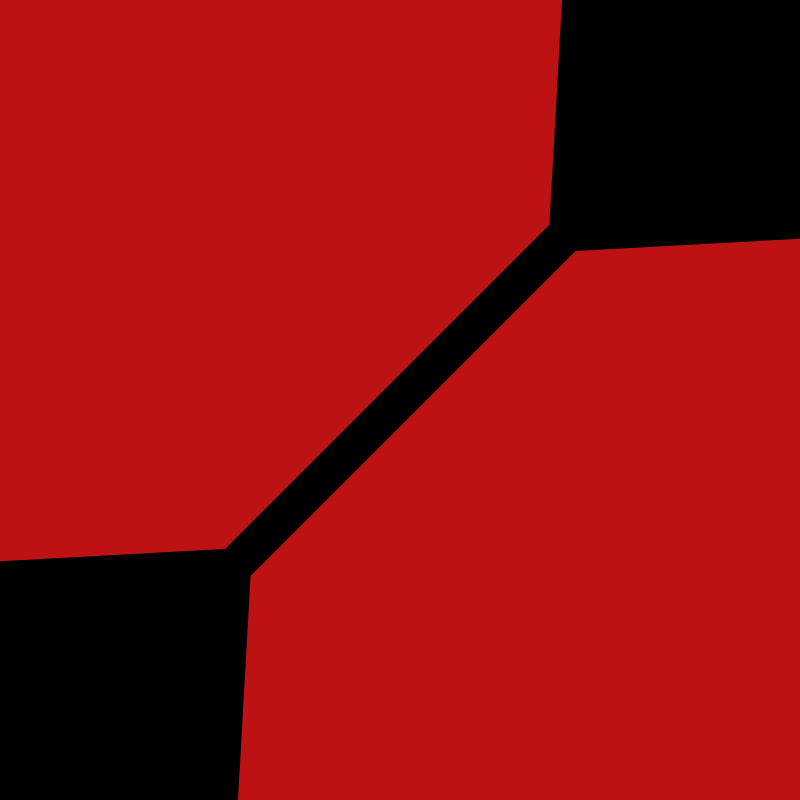 Enter CallBar. This amazing tweak displays incoming call notifications in a separate small banner and thus you can continue doing your important task without being interrupted by the full incoming call screen. You can chose to accept, reject, or silence the call along with many other options. Isn’t it unfair that Apple gave us only 4 icons in the iOS dock? Also, don’t you think that the iPhone 6 or the iPhone 6 Plus could do with more icons in the dock? In case you want to have more icons of your favorite apps inside the stock iOS dock, the Docker tweak can do that for you. It simply adds four extra icons to the dock, which is very useful indeed. TypeStatus 2 is the successor of the highly successful TypeStatus tweak. This tweak is very useful in case you do a lot of messaging on your iOS device. TypeStatus simply adds a typing indicator on the status bar, so that it becomes easier to know who is online and replying to your message. This feature is valuable in case you are in the habit of chatting with more than one people at a time. There are many instances when you need to reboot your iOS device. However, there is no default reboot option in stock iOS and when your press the Lock/Power button, you get a Slide to Power Off option. You then have to wait for the device to switch off, after which you need to press the Power button again to switch it on. This is a very lengthy process. The BetterShutDown tweak adds a menu to the stock iOS which is shown when you press down the Power button. This menu includes Power Off, Reboot, Respring, and Safe Mode options, thus making it easier to restart the device as you want. The battery indicator in stock iOS is just plain white, which makes it hard to know the status of the battery and when it is going low or empty. Thanks to the PowerColor tweak, it allows users to customize the color of the battery indicator. You can now choose a custom color for indicating a full charge, full empty, or low battery status. Stock iOS does not allow you to play music during a call. But with the MusicTransport tweak, you can play your favorite music during calls which makes it easier to listen music with your loved ones together. Also, you can play any type of background sound, like the noise of a busy street or any other such sound, which gives a false impression of your environment to the person on the other side. If you are in the habit of surfing a lot of websites on your iOS device which are written in a different language than yours, then it can get very difficult and lengthy for you to translate the text. The TranslateMe tweak provides an excellent translating feature. When you install the tweak, you just have to select any text that you want to translate and after selecting the text, a Translate option will appear then and there itself, which will translate the text in the language you want. The stock iOS Lock screen is very plain and minimalistic, which is a good thing. But it surely feels a bit outdated due to the lack of widgets. The FutureLock tweak helps you add widgets for weather, calendar, and pending notifications. This allows you to jump directly to the notification that you want. This entry was posted in Apple on April 3, 2017 by i Daud. As you know, the jailbreak is out for 9.2-9.3.3, but not the US version. You still can install the jailbreak, however, through the OG version. Credits to u/alionfiree for this! Edit 1: Only windows at the moment, hopefully they’ll release a tool for Mac. Wait until it’s done, and you’ll get a notification with Cydia installing on your device. You’ll need a computer first in order to download PP on your app. HOWEVER, you don’t need a computer to re-jailbreak after a reboot. Just open the PP App and itll do it for you. Like always, if jailbreak fails the first time, reboot and try again. Pangu addressed this problem in their FAQ. I’ll update this post as I get more information. Happy jailbreaking! What’s a tethered jailbreak? What’s the difference? Basically, now each time you reboot your iDevice, you need to rejailbreak. You don’t have to connect your device to your computer, but you still have to open the PP App for a re-jailbreak. The only difference of it from an untethered jailbreak is that tethered jailbreak require a re-jailbreak after a reboot while the untethered doesn’t. Do I have to re-jailbreak after a respring? This entry was posted in Apple on March 24, 2017 by i Daud. 9.3 is ready to go, by the way. Waiting for the SE. According to enMTW’s tweet, he is clearly waiting for iPhone SE launch and he has iOS 9.3 Jailbreak ready with him. As of now we know that Apple had released iOS 9.3 Beta 7 for Developers and it may roll out the final version on its 21 March 2016 Media event. It is expected that Apple will announce iPhone SE, new iPad lineups and some MAC refreshments. However, our main concern is with the Jailbreak for iOS 9.3. • Ask, in any way, about jailbreak release. We hope that enMTW has a working Jailbreak for iOS 9.3 and he may demo it in near future or release it when ever he is done testing and it is safe to be used by public. Meanwhile, we can hope for some good news from Team Pangu, who released iOS 9.1 Jailbreak and didn’t say anything about iOS 9.3. The last thing that we know regarding their status on iOS 9.3 Jailbreak was that their vulnerabilities were patched in iOS 9.3 Beta 5. Since then we didn’t heard anything new from them. This entry was posted in Apple, Jailbreak and tagged Jailbreak on March 19, 2017 by i Daud. 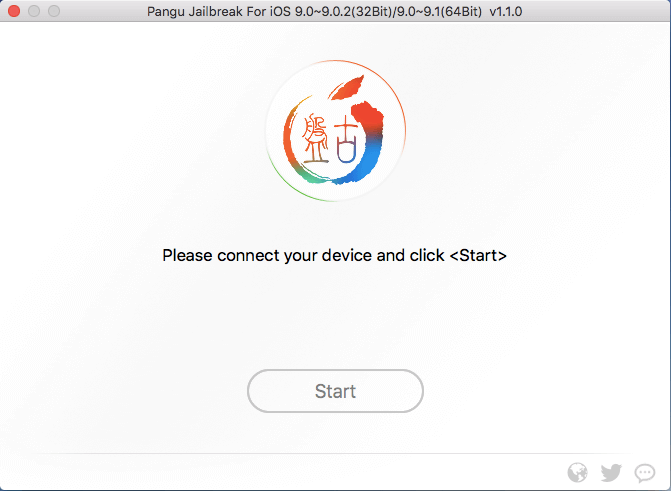 Moments ago Team Pangu released iOS 9.1 Jailbreak as a surprise or we can say a bombshell on iOS 9.1 users waiting anxiously for the Jailbreak. The news of iOS 9.1 Jailbreak brought in some joy and brought in some sadness amongst the iOS users because most of the users are on iOS 9.2 or iOS 9.2.1. However, there are users who are still on iOS 9.0.X series or are on iOS 9.1 and didn’t updated to iOS 9.2.X. Therefore, those of you who are on iOS 9.0.X – 9.1, they are in awesome luck and those of you who are on iOS 9.2.X are way out of luck. The main reason behind this is the fix of vulnerability by Apple in iOS 9.3 Beta 5 due to which the Jailbreak for iOS 9.2.X couldn’t be released. 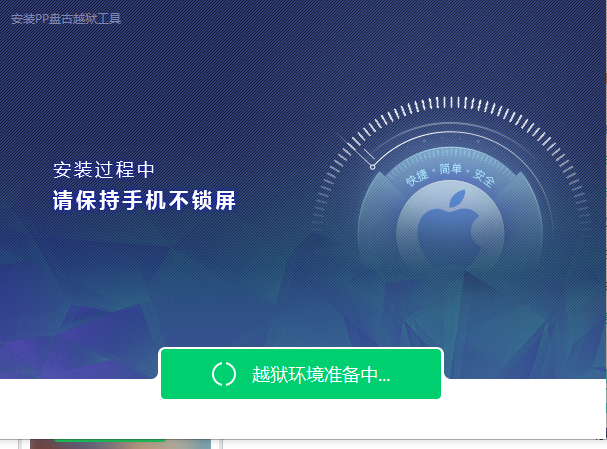 Apple in the fifth Beta of iOS 9.3 fixed the vulnerability found by Team Pangu for iOS 9.2.X, which is really devastating for many iOS users because it has been a long time since they last saw Jailbreak on their iDevice. Well, this doesn’t mean that Jailbreak for iOS 9.2.X won’t see the daylight. It will see the day light in near future or after Apple is done releasing iOS 9.3 and some other things along side it. Meanwhile, we will focus on how to Jailbreak iOS 9.1, while we wait for the iOS 9.2.X jailbreak to arrive. 3. the warning of “Disk is almost full”. This entry was posted in Apple on March 11, 2016 by i Daud. Recently many people have started to complain about this famous error that came for no reason while updating or downloading Apps in any iOS version. The iOS version can be any, but the devices can be iPhone, iPod, and iPad. The name of this error is “Unable to Download App”. This is the last most freaking thing that one should be seeing on their iPhone or iPod or iPad, while updating an App or downloading an App. However, there is no official statement made by Apple regarding this “Unable to Download App” Error and it was believed that it came due to Apple servers were down or there might be something wrong with the App its self or may be something else. 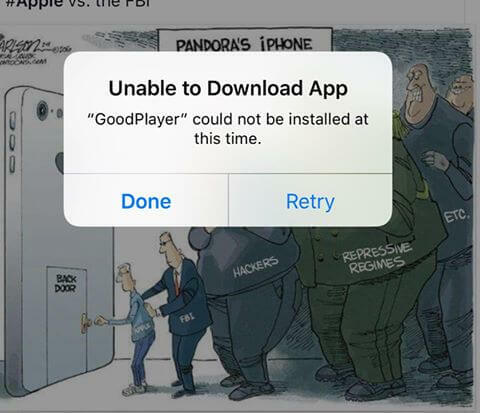 Lately, this “Unable to Download App” Error has become a greatest nightmare for many iOS users. This doesn’t means that it will haunt every one, but it is haunting very few people for no reason. Therefore, we did some work around to fix this error and found some working solutions for most of the people and the same solution didn’t work for some of them. Hence, we will first share the most common and working solution that worked for many and then we will share our own method that worked for those who were unable to fix the error using these common methods. First we will start with the most common methods that work when Unable to Download App occurs. Go to Settings>General>Date and Time>Set Automatically>Off. Set the date one year ahead. Try to download or update the apps again. If you get an error message, go back to the settings. Correct the date and time (set automatically) then go back and try to download or update the apps again. Sign out and sign in from the AppStore from Settings. Sign out from AppStore, restart your device and do a hard reset by pressing the home and power button the same time and letting go both when you see the Apple Logo. This method is our exclusive method and we call it the Last Resort Method. When every method stated above fails, then we call this method to solve our issue and it works 100%. Open App Store on your iPhone, iPod, or iPad. Press Update about 10 Times and the screen should refresh its self. Once this is done, try again and the Error should be gone. Our last resort method to fix Unable to Download App works flawlessly on iPhone 5, iPhone 6, iPhone 6S and all the iDevices. This entry was posted in Apple on March 8, 2016 by i Daud.